I was approached by a private equity group interested in purchasing my company. The partner said they’d looked at 48 companies in my market sector, and this was the first one they liked. They made a non-binding offer that I was happy with, and began due diligence. Ninety days later, they walked away from the transaction. 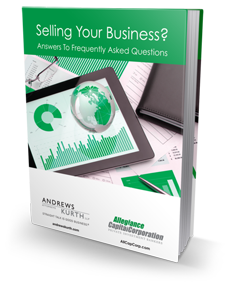 The answer is ‘yes.’ The following is a short primer on how to improve the odds of getting your company sold. A skilled investment banker knows how to create a market centered around the business for sale. In a typical middle-market private company sale, the investment banker will ‘package’ the company and present it to several financial and strategic buyers at the same time to generate interest. The two main elements here are the quality of the ‘packaging’ and the suitability of the prospective buyers. Rigorous research and proprietary methodologies are required to accomplish this. Presenting a well-packaged company to several competing buyers simultaneously creates a supply – demand imbalance. There are multiple parties trying to acquire the one ‘asset’ or business. It’s Economics 101. The demand is greater than the supply; hence the seller has all of the leverage. Greater leverage means better pricing and usually more favorable terms. A good investment banker will create an auction that generates multiple offers. The banker will draw upon their personal experience and the institutional knowledge of their firm to assess the buyers involved and the quality of their offers. In recent years, the buyer landscape has evolved and become more complex. Additionally, there has been a rise in ‘bad actors’ generating a lot of noise in the M&A market as these individuals look and sound like they are legitimate investors placing offers on businesses, but they may lack the ability to even consummate a transaction. These individuals will even make unrealistic offers, which distract the business owner from more credible offers. These ‘bad actors’ can oftentimes delay the sale of a company, which creates a great deal of frustration for the business owner. Therefore, having a good investment banker who understands which buyers are real, motivated, and most likely to consummate the transaction is critical. Going back to our buyer who walked away from the transaction, the incidence of such occurrence is significantly mitigated when the expertise of a knowledgeable banker is brought to bear on a transaction. Moreover, let’s hypothesize a worst-case scenario and the situation stated above does occur. The experienced banker has most likely identified a group of highly qualified and highly motivated buyers to replace the buyer who walked. 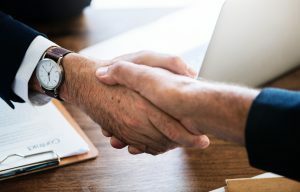 The likelihood of closing the transaction is considerably higher than if the business owner did not go through a proper M&A sale process with an experienced investment banker generating multiple buyer options – essentially instituting a Plan B, a Plan C, and so on. This article provides insight into the marketing phases of an M&A sale process. To learn more about the entire transaction process, please visit here or contact us directly.